While the interior experience of buildings is what really matters to those who inhabit them, today the space within is seemingly of less and less interest to many of those who design those same buildings. In many ways architecture, like fashion, portrays itself primarily through the visual printed image. Whether it be a magazine article, book publication, or advertisement, the perfectly lit, people-free, photo-edited image becomes, at times, more important than the functionality of the building itself. This presentation of our buildings—typically of only the exterior—demonstrates to the public that this is what we, as architects value, and they should, too. The remainder of the text does just that. This refreshing read is short and sweet and to the point, with references to a multitude of truly brilliant architectural examples that were designed foundationally around the space within. 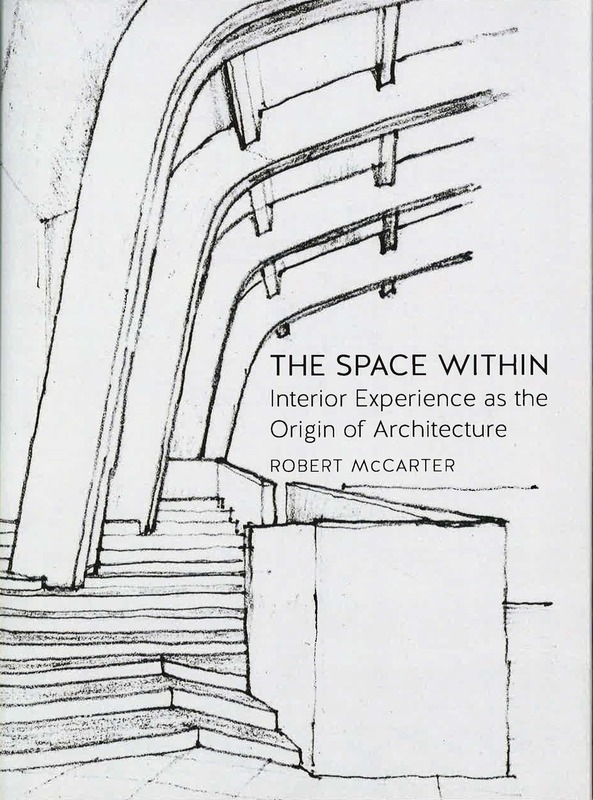 By carefully crafting each chapter to demonstrate the primacy of the interior experience from various experiential angles, McCarter presents a very solid case to rally the architecture profession back to a deeper cause, and design with more in mind than a “money shot” in a magazine. Reviewed by Janet Spees, Assoc. AIA, with Merriman Anderson Architects.